A friend from Iloilo and I agreed to meet up here in Seoul as soon as we have both settled back. She’s Korean and she’s spending her (Philippine) summer vacation here in Korea together with her daughter. She booked us a day at the Pororo Park at Lotte in Jamsil. Kids totally enjoyed each other’s company (Firstborn and her daughter were classmates back in Iloilo Montessori and Second-born had been used to her company, too) and the indoor theme park. I went to Pororo park. I was with my brother and Bomin. she is my friend. She is also my classmate. I was very, very happy there in Pororo park. the first activity that I did was exploring the Pororo park. after I explored I bounced in the jumpy part well. any way, I did fishing at the end. Also before I did that, I did bump car and I was so, so happy. 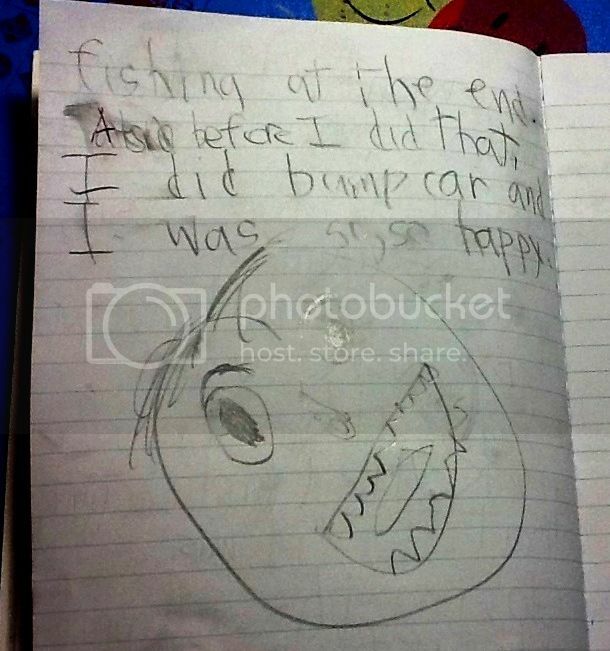 And he has that illustration above to show for his happiness…lol! God job! 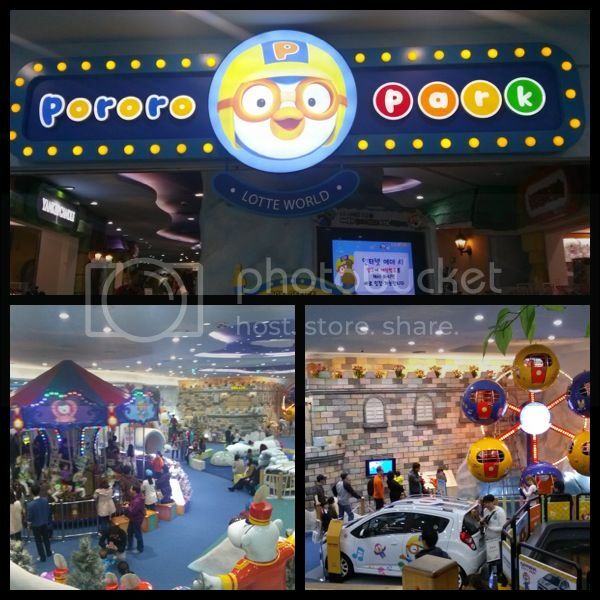 Pororo Park is a good alternative for a theme park for those with kids who can’t handle the much larger Lotte World or a more expensive Kidzania located at the CoEx Mall in Jamsil. You see, all these are housed in this big mall. There are so many things to do and many places to go to. But, the small park inspired by the popular penguin is as much fun for kids that one day couldn’t be enough for them… Well, it wasn’t enough for my kids:-). Trains, bump cars and the carousel had very small spaces. But with the many offerings inside, it won’t really matter anymore. Kiddos would love to go back there again… they always clamor about going back to places they enjoy:-)… It’s good. It’s clean. It is very well-maintained. It has many things for kids to enjoy. But, I think once is enough. One visit is actually enough to get to do everything inside.